Weimaraner is an all purpose gun dog. 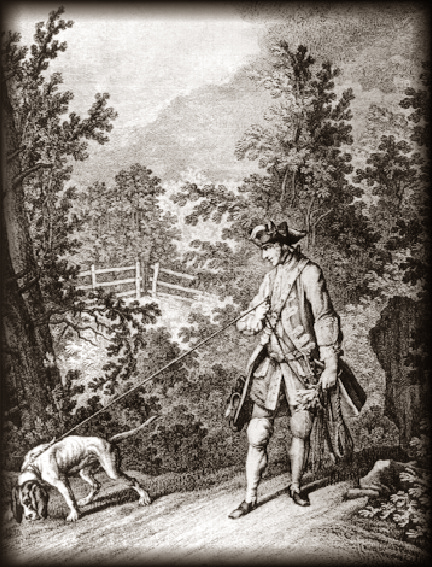 only royal hunting dog, known to be kept in their homes as both pet, and sportsman. They are both incredible hunters and fearless guardians of their family and territory. ​ The Weimaraner is elegant, noble and athletic in appearance. 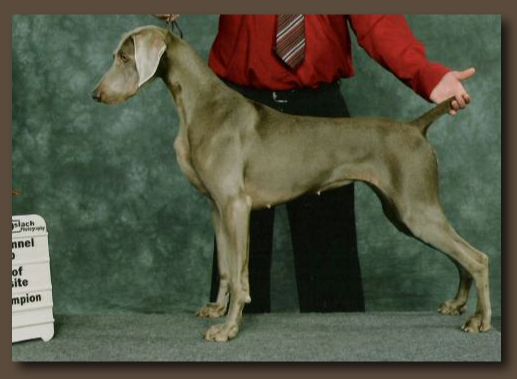 Properly bred the Weimaraner should look balanced from a properly sized head, slightly larger chest, long lean torso, and docked tail, creating a form that is pleasing to the eye. Silver and Grey are the two recognized colours in both the CKC and AKC standards. A less common colour and disqualifiable in the show ring is the colour Blue. However a small white patch on the chest is allowable. The tails are docked to one third their natural length and the dew claws removed at birth. 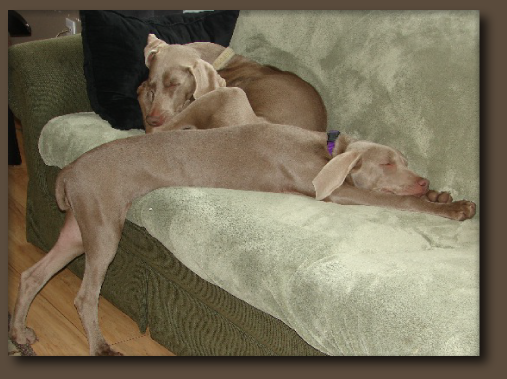 Weimaraners are fast and powerful dogs, but are also suitable home animals given proper training and exercise. These dogs are very protective of their family and can be very territorial with other dogs, and aloof to strangers. They must be well socialized to prevent any hint of aggression. Weimaraners are highly and intelligent and have the ability to problem solve, which earned them the epithet "dog with a human brain".